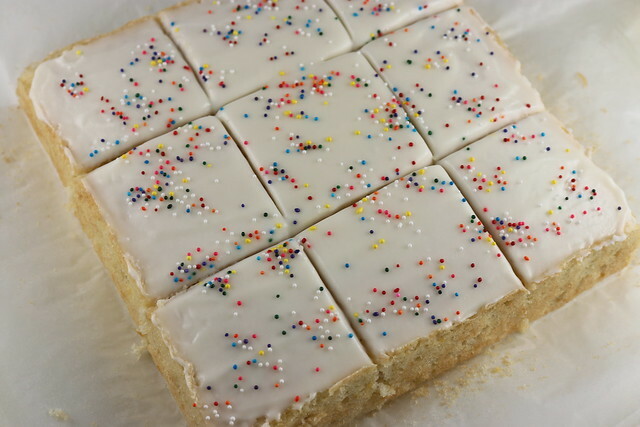 This is a great morning snack cake! 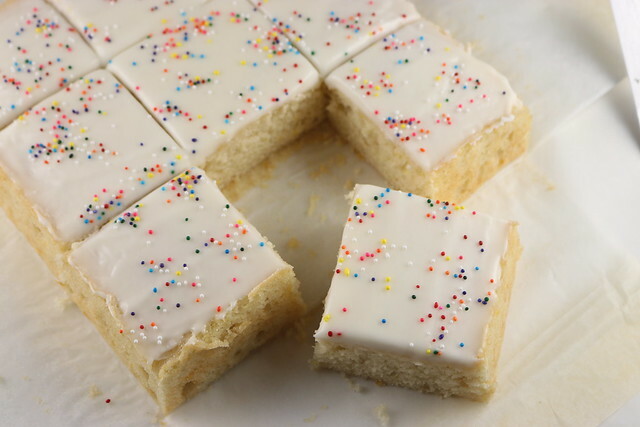 I love snack cakes because they have no or limited frosting and they are perfect with breakfast - you never feel like you are eating a heavy dessert. The tang of the lemon is a perfect way to start your morning. This recipe "only" uses less than a stick of butter so it isn't super rich. And because of that, you can sneak pieces throughout the day. :) Just sayin. Baked in an 8" square pan, you can get 9 really big pieces or more smaller ones. I cut several of these into triangles and they looked cute. They say you can mix this in the pan, but I like to line my pans with parchment paper so I mixed it in a bowl. It comes together so quickly and you don't need the KitchenAid mixer either! I hope you make this for your family or office. It's easy, comes together in a few minutes and is light and refreshing. This recipe comes via Land O' Lakes Butter website and I used my parent's Meyer Lemons. Love meyers! They are the best! I doubled the amount of glaze because I made one batch, spread it on and it was so thin. So I whipped up a second batch and spread that on top. 2. In a large bowl, whisk together the flour, sugar, baking powder, salt, and lemon zest until combined. 3. In a small bowl or the measure cup, lightly whisk together the egg, melted butter, and milk. Add to the flour mixture. Mix with a whisk or fork until batter is mostly lump free, but don't overmix. 4. 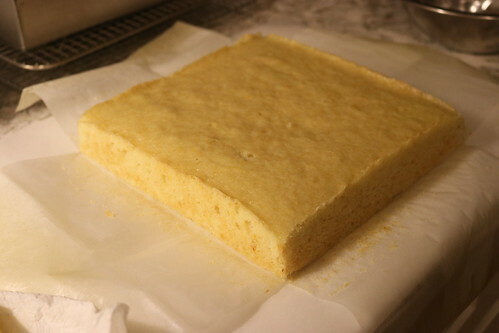 Pour batter into a prepared 8-inch square baking pan (line with parchment paper and/or sprayed with baking spray). 5. Bake 30-35 minutes until toothpick inserted into the center comes out clean. Let cake cool. 1. To make the glaze, combine the powdered sugar with melted butter. Add lemon juice until it is at your desired consistency. 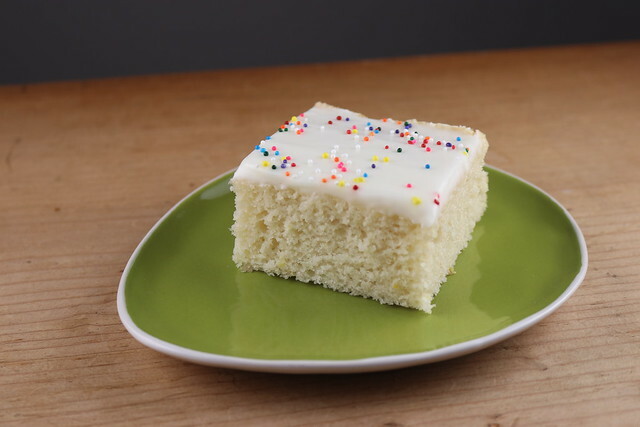 You may want to pour it over the cake or have it a little thicker to spread over the cooled cake.